When I consult with school owners on their business, the first question I ask is, “How do you compete?” It always surprises me that most of them don’t have an answer readily available. If you don’t know what makes you special, how do you expect students to be able to decide you’re the right school for them to attend? A competitive advantage is your company’s unique value proposition. It’s the reason your students choose to receive their education from you, and it’s critical to the long-term growth and success of your company. I used to run a fairly large real estate education company. We provided live and online licensing and continuing education in over 20 states. Back in 2007, when the real estate market bombed, our business was devastated. We had to let nearly two-thirds of our staff go. We quickly needed to become “lean” and operationally efficient. We found ourselves having only so many hours in a day and only so many resources to get all the work done. Where we used to have teams of three, six, or eight people creating and executing market-specific strategies for each state, we now only had that many for the entire country! We had to drastically change the way we did business. We had to adopt new guiding principles to help lead us back to profitability. One of the first new guiding principles we adopted was centered on duplicating and scaling. We needed to be able to leverage everything we touched. From course content to marketing and sales campaigns, everything we did had to be scalable. This meant that we could not run each state as its own business. There were no efficiencies in each state having its own strategies. We could not create special content, programs, or one-off products for special or limited distribution opportunities. In essence, we were forced to employ only those strategies that we could easily duplicate in other markets or scale nationally using the internet. When new opportunities came forward, the first question we had to ask was, “Can we duplicate or scale the solution?” If the answer wasn’t yes, we passed. I tell everyone that it was like playing with a Play-Doh machine. You put the Play-Doh in the hopper on one end, crank the handle, and on the other end there is a templated shape that all the Play-Doh comes out as. Whether a star, a square, or whatever shape you select, the template assures consistency. In our case, as a school, we selected a circle for our machine. The circle was big and covered a lot of what we wanted to do. The Play-Doh could be any color the market wanted, but the shape was always a circle. Even when the best strategy for a particular market would have called for our machine to have a 5-pointed star template, we used the circle. This meant our product was pretty good (a circle shape covers a lot), but if a market called for a star, our round solution would have all the points of the star shaved off. We rarely provided the perfect solution for a market, but generally offered a fair one. We operated under these conditions in nearly every market we competed in. We were consistent with our product and student outcomes, and we produced effective marketing and sales campaigns. Our size and our resources were our competitive advantage, and in most markets, we maintained or gained market share despite only offering circles. It’s not to say our plan worked perfectly. There were a few markets where the local competition figured it out. These insightful competitors identified all the missing points to our star. They understood our shortcomings and their local customers’ desires, and they created content, course offerings, customer experiences, positive student outcomes, sales and marketing, and local relationship strategies that exposed our weaknesses and accentuated their strengths as a local provider. They were able to tailor their education and student experience to the local market conditions. Those savvy competitors thrived. We helped knock out their lesser local competition, and they ate up market share. And here is an interesting part…I don’t recall a single one of these fierce competitors being a discount educator. They thrived by creating a locally driven value proposition with which we could not effectively compete. It’s easy to wear the hat of an underdog, but it doesn’t do you any good. Instead, look closely at your competition. What do they do well? Where are their weaknesses? Is there something you’re bringing to the market already that sets you apart? Or is there something students would value that nobody is doing in your market? That’s a value you can build a brand around and disrupt the market with. 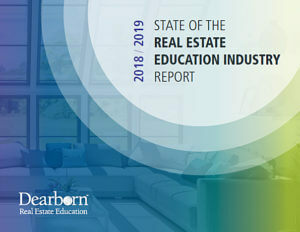 For specific strategies on how Dearborn can help you create your own five-point star of differentiation, email partners@dearborn.com today.